Scratchpad is an application for Mac OS X which can be called as the advanced version for TextEdit, the default notepad application in mac. This application helps in organizing the notes in different pages you write, but you don’t need to waste time in organizing them as everything is done automatically and this saves lot of time. When you are in various topics and don’t want to save everything in different notepads and just increase the mess, here Scratchpad helps you by just organizing every note topic in different pages. Supports rich text so you can customize your fonts and colors anyway you like. Support for images and pictures – Only the Microsoft office’s Powerpoint does have this, not the normal notepad in Windows or Mac. Lightweight – has everything you need without the bulk. Automatic saving – Autosave option when you forget saving the file and something happens to your mac or the file. Written in Cocoa to take advantage of Apple’s native API. 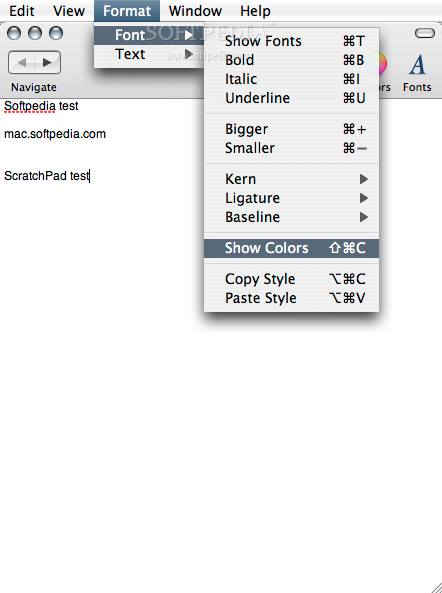 It is a utility software that is available only for Mac OS X. Download Scratchpad for Mac from here. This feature is one which is needed the most in textedit, hope notepad also gets this upgrade. Yeah like powerpoint it can also be organized in multiple pages, nice update there for mac. scratchpad in Mac, you got to be kidding me. Mac sound so useful with so many tools. Mac is slowly trying to push out great things. There new things are fab..